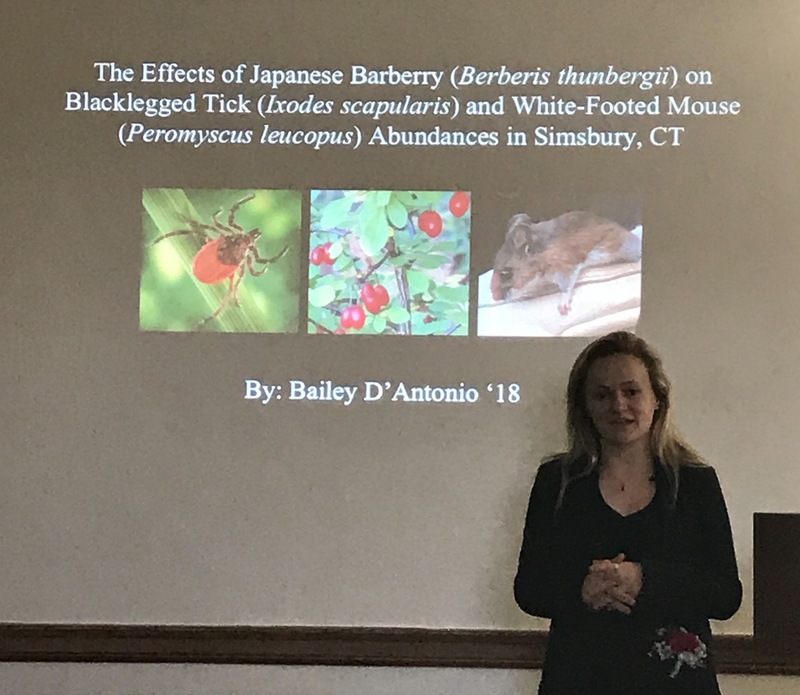 Bailey D’Antonio successfully defended her honors thesis entitled, The effects of Japanese barberry (Berberis thunbergii) on blacklegged tick (Ixodes scapularis) and white-footed mouse (Peromyscus leucopus) abundances in Simsbury, CT. Her research illuminates connections among invasive plants, ticks, mice, and the bacteria that causes Lyme disease. Congratulations, Bailey!